Ben Hogan is considered to be one of the greatest golfers to ever tee up, revolutionizing the game with his swing theory and ability to strike the ball. 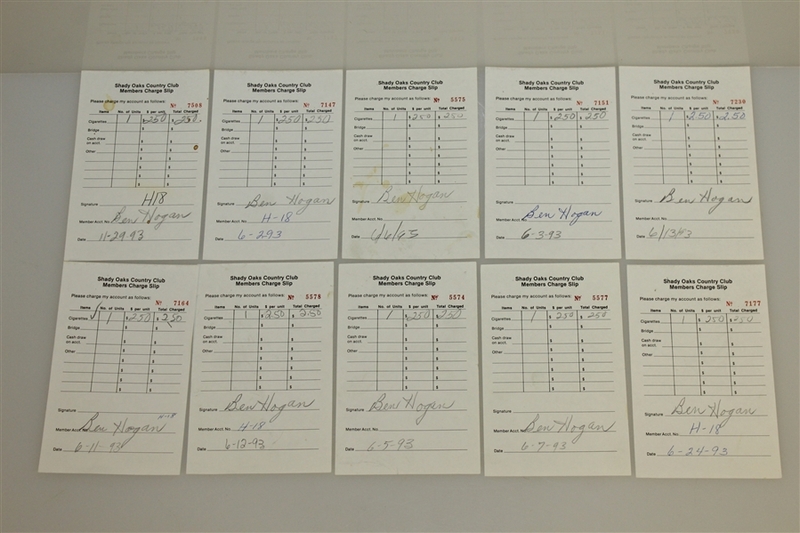 His 9 Major titles land him tied for fourth on the all-time Major wins list. Later in his life, it was a nearly daily ritual for Mr. Hogan to not travel far from his beloved country club in Fort Worth, Texas - Shady Oaks. 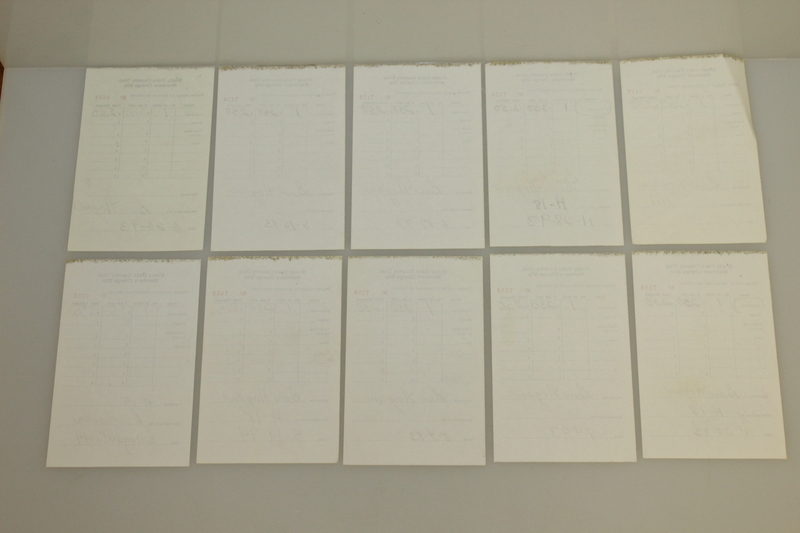 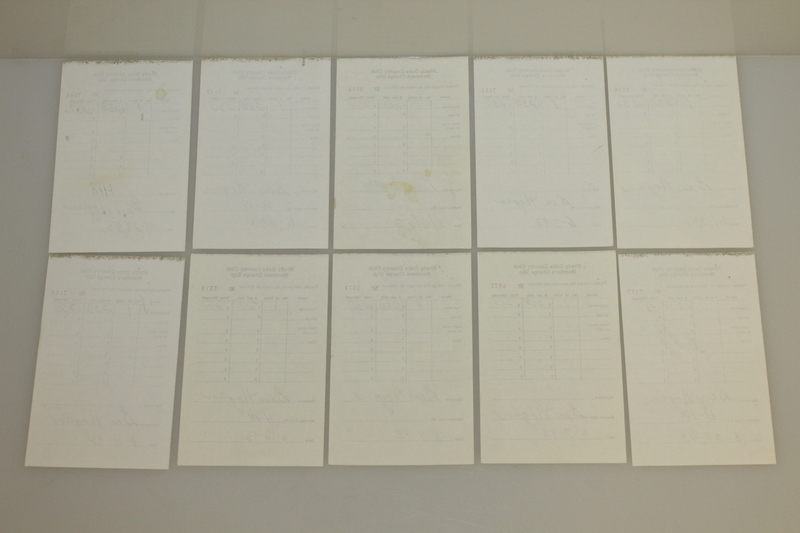 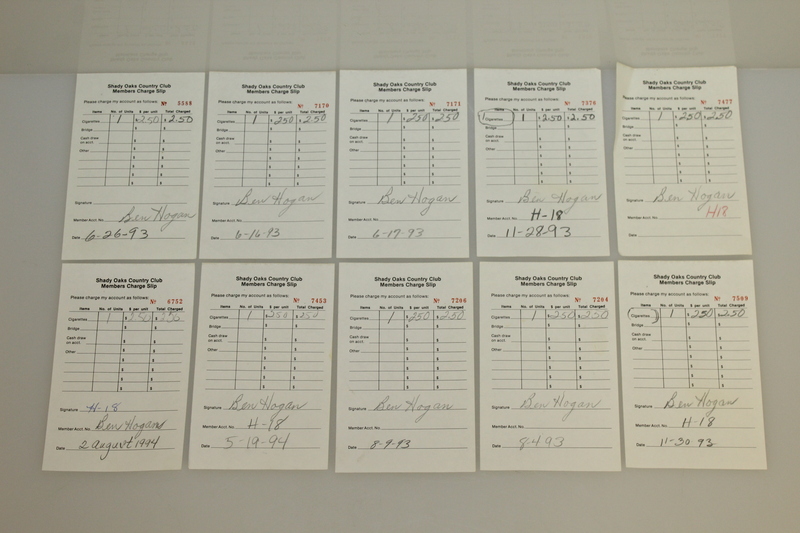 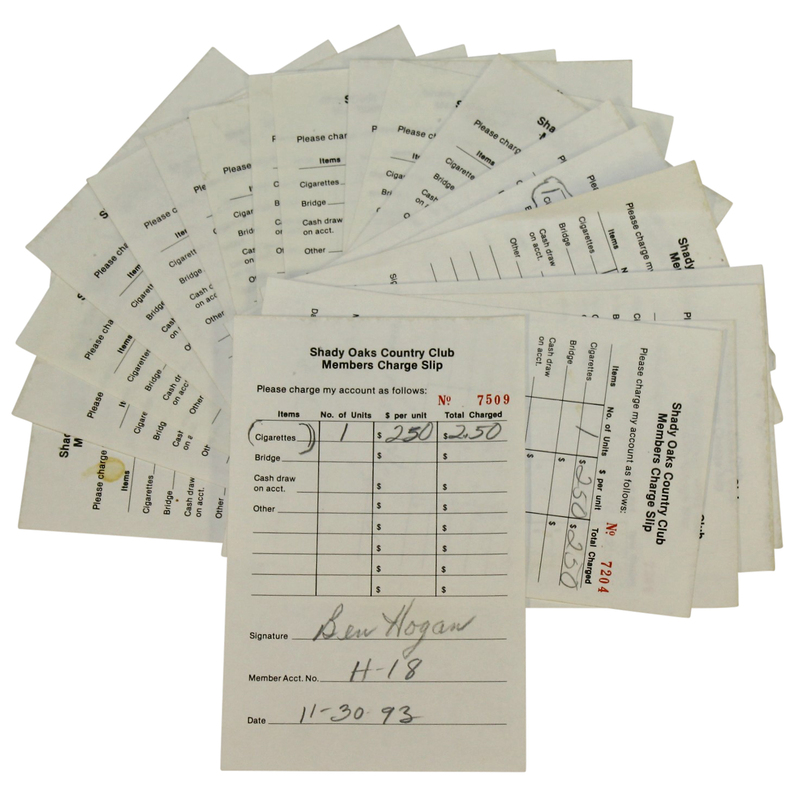 Offered here are 20 members charge slips from Shady Oaks, each having been signed by Ben Hogan.